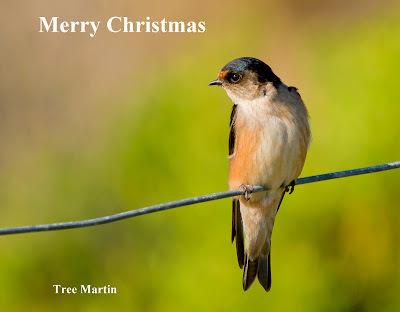 Image of Tree Martin taken at Goat Bluff, South Arm. A few pairs have nessted in the cliffs for many years. In the past few weeks I've often stopped off at the Lauderdale Spit for a quick visit, usually while en route to other venues on the South Arm Peninsula. I'm often lured there by the sight of roosting Bar-tailed Godwits, clearly observable from a moving car, but for the first time in several years, they have been been 'missing'. I've had to settle for the occasional Caspian Tern, or the scores of Pied Oystercatchers that regularly roost on the spit. So I was delighted to find a few migrants have recently taken up residence, at least temporarily, on the spit, and have managed to photograph them as you can see by the accompanying images. Last Summer two Grey-tailed Tattler and two Red Knot spent much of the Summer on this small peninsula, so it's interesting to speculate whether the two Knot and the solitary Tattler are the same birds. I suspect they probably are. I've spent a good while watching them as they feed and although the Knot and Tattler are of a similar size they're after quite different prey. 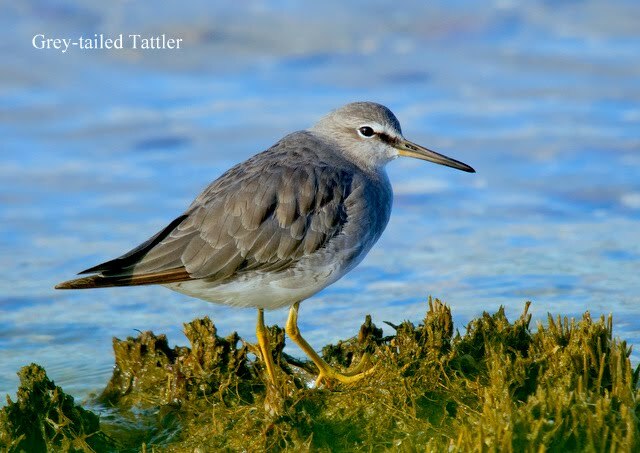 The Tattler seems only interested in the small crabs that abound in the shallow water. 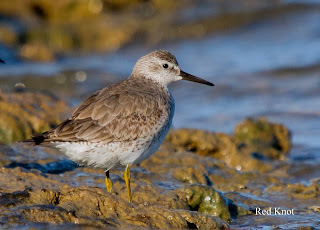 The Knot appear to be mainly interested in small molluscs, which they find by probing the mud, also usually in shallow water. Both species swallow the prey whole. 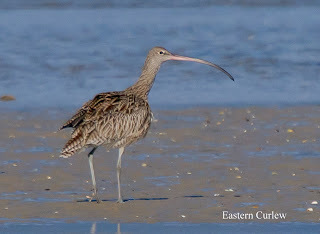 I've only seen an Eastern Curlew on one occasion at the spit this summer, and managed a distant shot before it flew down to the bay to the south, which is its' preferred feeding area. It was once common to see 10 or more Curlew feeding in this bay, but numbers have seriously declined and it's rare to see more than a solitary bird there nowadays. 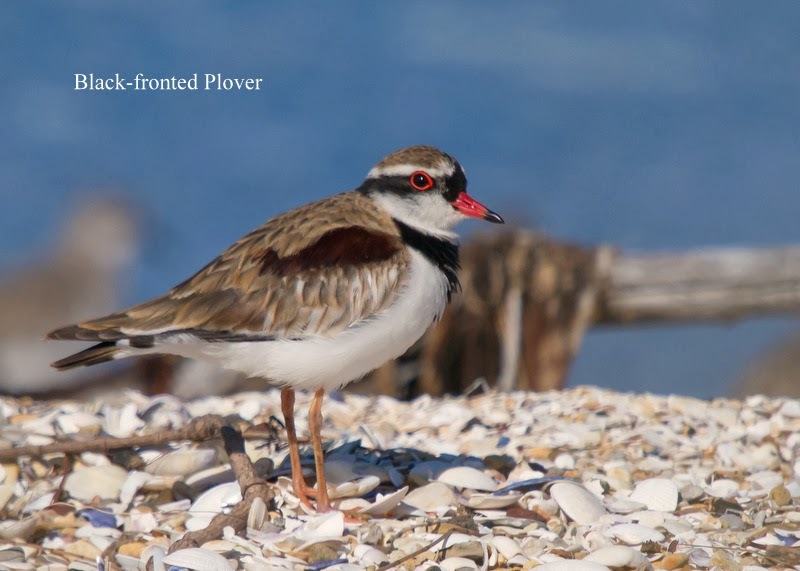 I could see the stint and several pairs of Red-capped Plover, and noted a Black-fronted Plover among them. The latter is a bird usually found around the margins of fresh or brackish water, and locally most frequently found around farm dams and similar, so it was surprising to find it among the stint and in a salt water environment. This was a 'first' for me at Lauderdale and I was pleased to get the accompanying image.